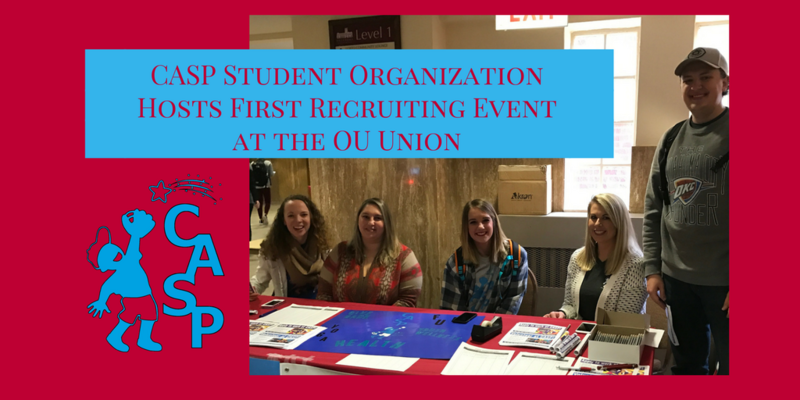 The newly formed CASP Student Organization (CSO) held its first recruiting event at the OU Student Union on January 18. CSO members volunteered their time to hand out informational flyers and answer questions of potential volunteers, staff and mentors interested in working with our more than 600 students in our 17 school age programs. If you are interested in joining the CASP Student Organization or working with our after school programs as an adult mentor, please contact us at 405-366-5970 ext. 217.